Some 5% to 10% of breast cancers are thought to be hereditary, caused by abnormal genes passed from parent to child. Most inherited cases of breast cancer are associated with two abnormal genes: BRCA1 (BReast CAncer gene one) and BRCA2 (BReast CAncer gene two). Everyone has BRCA1 and BRCA2 genes. But most of us don’t have mutated ones. BRCA genes, when healthy, repair cell damage and keep breast, ovarian and other cells growing normally. But when these genes are attacked by chemicals they develop coding errors, otherwise known as mutations, passed from generation to generation; the genes’ functions are ultrasensitive to environmental influences such as radiation, hormones and chemicals; as a result, breast, ovarian and other cancer risks increases. Abnormal BRCA1 and BRCA2 genes may account for up to 10% of all breast cancers or 1 out of every 10 cases. Having an abnormal BRCA1 or BRCA2 gene doesn’t determine fate. But it does mean one ought to be careful when it comes to toxic exposures. Now, researchers have identified a cleaning chemical that, like a heat-seeking missile, does preferential damage to the BRCA genes. The chemical is called formaldehyde and it is contained in cleaning products but usually not listed on the ingredients label. The “ubiquitous environmental toxin, formaldehyde, stalls and destabilizes DNA replication forks, engendering structural chromosomal aberrations,” say investigators in the June 2017 issue of Cell. Research on formaldehyde done in Spain finds exposures occur within the home. In February 2014, 10 homes in Catalonia, Spain, were randomly selected to collect indoor (bedroom and living room) and outdoor air samples. 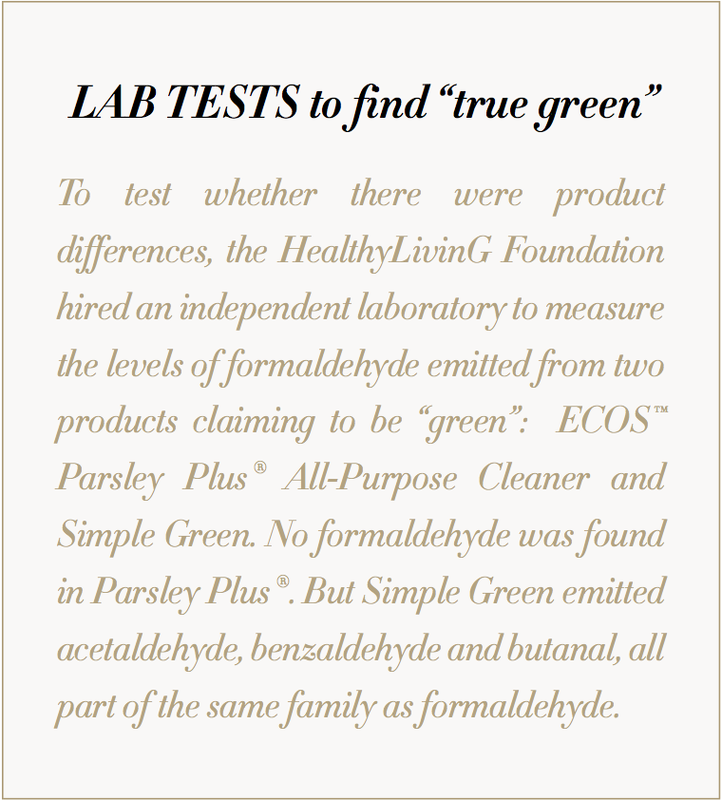 Ten additional samples were also collected at different workplaces (eg, offices, shops, classrooms, etc). Formaldehyde air levels found in homes’ bedrooms, living rooms, outdoors and workplaces were above the threshold limit for formaldehyde’s toxic non-carcinogenic risks “and carcinogenic risks were not acceptable either. Despite the current study limitations, the results confirm that formaldehyde indoor levels are a matter of health concern, which must be taken into account by policymakers and regulatory bodies,” researches conclude. Products may also contain formaldehyde if they list chemicals known to release this chemical; these include quaternium compounds; benzalkonium chloride; cetrimonium bromide; and hydantoin. • You have blood relatives (grandmothers, mother, sisters, aunts) on either your mother’s or father’s side of the family who had breast cancer diagnosed before age 50. • There is both breast and ovarian cancer on the same side of the family or in a single individual. • You have a relative(s) with triple-negative breast cancer. • There are other cancers in your family in addition to breast, such as prostate, melanoma, pancreatic, stomach, uterine, thyroid, colon and/or sarcoma. • You are of Ashkenazi Jewish (Eastern European) heritage. • You are African American and have been diagnosed with breast cancer at age 35 or younger. • A man in your family has had breast cancer. Bergh M, Magnusson K, Nilsson JL, Karlberg AT. Formation of formaldehyde and peroxides by air oxidation of high purity polyoxyethylene surfactants. Contact Dermatitis. 1998 Jul;39(1):14-20. Tan SLW, Chadha S, Liu Y, Gabasova E, Perera D, Ahmed K, Constantinou S, Renaudin X, Lee M, Aebersold R, Venkitaraman AR. A Class of Environmental and Endogenous Toxins Induces BRCA2 Haploinsufficiency and Genome Instability. Cell. 2017 Jun 1;169(6):1105-1118.e15. doi: 10.1016/j.cell.2017.05.010.